We have a large selection of pool interior finishes available for you to choose from to suit your pool and its surrounding. We specialize in the natural pebble pool finish which is a blend of natural quartz pebbles with cement and quartz which offers non slip finish to your pool in a range of beautiful natural blues, greens and sandy beach tones. Also available as part of this range is coloured crystal effects, a blend of cement white quartz and vibrant blue or green coloured crystal beads. 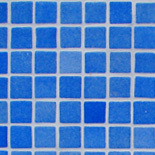 Along with the traditional and classic mosaic tiles finish our company exclusively can offer you the new finishes from Wet Edge, which is one of the largest pool suppliers of pool interior products in America. This finish comprises of a blend of quartz, cement and oxides. We have a large selection of colours available from brilliant blues to mellow greens.